Combining several bodywork techniques; soft tissue work (visceral manipulation, myofascial work), deep muscular techniques (neuromuscular therapy, trigger point work), and energy work (shiatsu and acupressure work). With over 30 years of bodywork experience, Lisa has developed a strong belief in listening to the body's innate wisdom. Integrated Bodywork with Medical Intuition the science of intuitively assisting clients in cooperation with their primary health care professional in Intuitive Analysis of physical, emotional, mental and spiritual stress reactions. Focusing on the rhythm of the cerebral spinal fluid and the systems related to the central nervous system. A physiological relaxation response is induced with this gentle technique that is done through the clothes. Helpful in the treatment of headaches, TMJ (Temporomandibular Joint Syndrome) related problems, lower back injuries, and resolving old/or new trauma to the body. Helpful for tongue tie and latch issues, colic and releasing birth trauma. A very gentle, non-invasive, bodywork technique from Australia's originator, Tom Bowen. Bowen and Neurostructural Technique involve gently "plucking" key ligaments in a specific order. Dealing with the reflexes of the body, Bowen/NST is helpful for a wide range problems and conditions, from asthma to scoliosis. This technique requires two sessions approximately ten days apart, allow 45 to 50 minutes per session. Based on the work of Caroline Myss, Archetypes are used to gain insight into the deeper pattern of situations and life factors. I highly recommend classes, coaching and individual consultations offered by Houston’s Keto Coach Leslie Anders. It cuts down inflammation, balanced the body’s blood sugar, increases energy, and leads to improved sleep among other benefits. The science of intuitively assisting clients in cooperation with their primary health care professional in Intuitive Analysis of physical, emotional, mental and spiritual stress reactions. Lisa G. McFarland, L.M.T., CST, C.C.I. Lisa McFarland, a Certified Somatic Therapist, began her private practice in 1988 after receiving her initial CranioSacral training from Dr. John Upledger, the originator of CranioSacral Therapy in 1986. For eight years Lisa worked with Dr. John Baldwin, a specialist in head and neck pain and TMJ (Temporomandibular Joint Syndrome), where she was introduced to Dr. Barry Gillespie and osteopath Dr. Michael Samuels, and exposed to their amazing work. Lisa developed her unique bodywork style combining her intuitive skills with various bodywork techniques. She has completed advanced CranioSacral training, Pediatric CranioSacral Therapy, Somatic Emotional Release training from the Upledger Institute, advanced N.S.T. (Neuro-Structural Technique) and advanced Bowen therapy. She is an active student member of the OrthoBionomy Society, the IAHP International Association of Health Care Practitioners and continues to train in new and innovative osteopathic modalities. 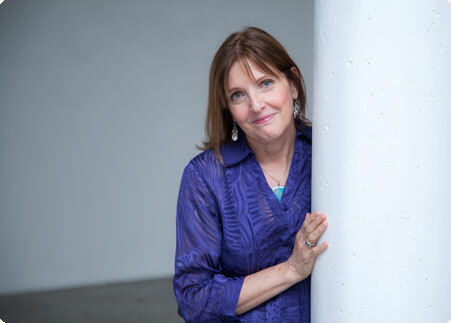 Lisa has been in private practice since 1988, and in September 2004 Lisa graduated from the four-year Medical Intuitive certificate program presented by Holos Institutes of Health and The Institute for Scientific Medical Intuition, taught by Drs. Caroline Myss and C. Norman Shealy. Committed to the health and wellness community, Lisa officed above the Healing Space, with Dr. Monica Roberson, Houston’s first Fellow of Dr. Andrew Weil’s Integrative Medicine program. Loving this experience with Dr. Roberson has inspired Lisa to begin writing a book and has ignited a desire to teach. Lisa pursues her passion for healing, and is currently excited about the nutritional support that diet allows for health and preventive care. She has been invested in Naturopathy studies with Clayton College of Natural Health, (now Holos Institute) and studies the Food-Healing system of Jeff Primack. Lisa remains committed to the integration of health and wellness, and the relationship between the mind-body connection. She combines intuitive skills with various bodywork techniques, working with each client to clear stored body memory, enhance wellness and empower the individual healing experience. Houston, Houston Medical Center, M.D. Anderson, Downtown Houston, Discovery Green, Rice University, The Village, Upper Kirby, University of St. Thomas, and the Museum District.